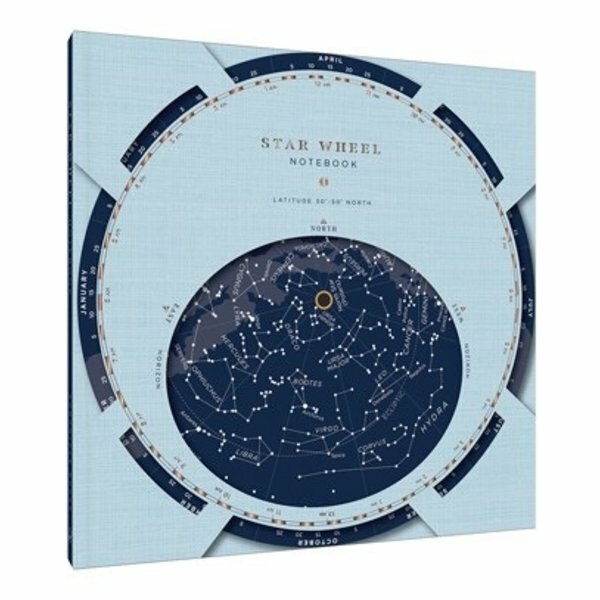 This hardcover notebook features a star wheel on the cover, allowing users to rotate a disc to display the visible constellations in the sky at a specific date and time, any night of the year! 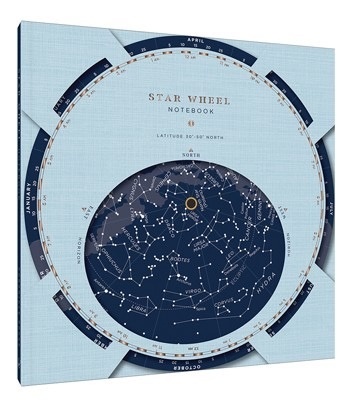 With a handful of fascinating cosmic facts and visuals in the interior pages, this journal encourages stargazers of all levels to explore and document the mysteries of the night sky—and also makes a distinctive go-to on the nightstand. Best used for the Northern Hemisphere, 30–50° latitude (including Contiguous U.S., S. Canada, Mid-to-S. Europe, N. China, and Japan).